I’m sure we all know by now that I can’t resist a countdown. I’ve crafted ways to help my family count the days to every major holiday or event over the years, and you can bet that I’ll make a dozen more before I hang up my glue gun for good! So, it should come as no surprise that I can’t imagine a Christmas celebration without an Advent calendar. 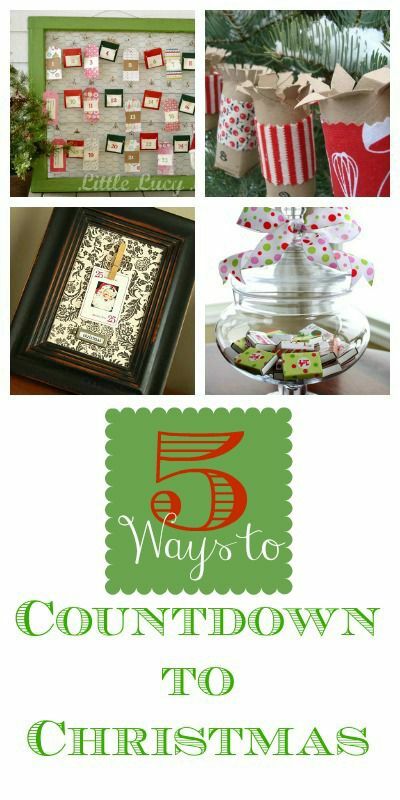 Check out these DIY ideas for 5 Ways to Make an Advent Calendar.